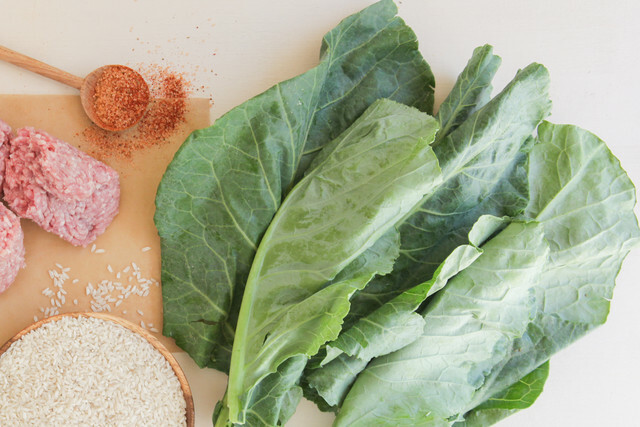 Being packed with a slew of essential vitamins A, B, K, and C and minerals like calcium, iron, magnesium and zinc in a high-fiber package, greens are about as "superfood" as you can get. They're versatile too - most can be enjoyed raw or cooked, and easily find their way into anything from soups and pasta sauces to smoothies. Although it's best to enjoy a variety of greens in your diet, it's understandable that you may not like all of them... no matter how much of a media sensation kale becomes. Lucky for us, there are many different greens and many different ways to enjoy them, so in the spirit of Halloween, we'll take a look at how you can dress up your dinner table in something green (and no, not in the form of spooky green punch). A big ol' pot of collards, simmering all day in cured pork and potlikker, is commonplace in the Southern kitchen (as is a bottle cider vinegar or pepper sauce to season 'em with). These large, bitter greens are a member of the cabbage family and grow in the cooler 8-10 months out of the year in the south. Dishes featuring this green arrived along with African slaves in the 1600s, and many have remained unchanged and are still popular today. Most famously, collard greens are eaten with black-eyed peas on New Year's Day to bring good luck into the year. Mature collard greens toughen as they age, which is why they're often cooked down soften their fibers, making them more flavorful, nutritious and digestible. Young collard leaves, on the other hand, are tender enough that they can be thinly sliced and eaten raw in a salad or slaw, and are especially delicious when massaged with a bold sauce or seasoning to balance out their bitterness. The leafy green "Chard" is actually a variety of beet, and can go by several names like silverbeet, perpetual spinach, spinach beet, crab beet, seakale beet and Swiss Chard (although no one really know why this Mediterranean plant is called "Swiss"). Its leaves are wide and flat with a white, yellow, orange or red rib (which you may be tempted to toss out - but waste not! It's excellent chopped and thrown in to soups or saute!). The young leaves are tender and mild enough to be enjoyed raw in salads, while the more mature leaves are heartier and a touch more spinach-y; they're perfect wilted into hot pasta dishes or casseroles. This dark leafy green originates in Southern Europe and the Mediterranean, ranging from Portugal to Lebanon. It belongs in the mustard family, which explains its slightly spicy herbaceous flavor, and often called garden “rocket” as a nod to the fact that it grows relatively fast. 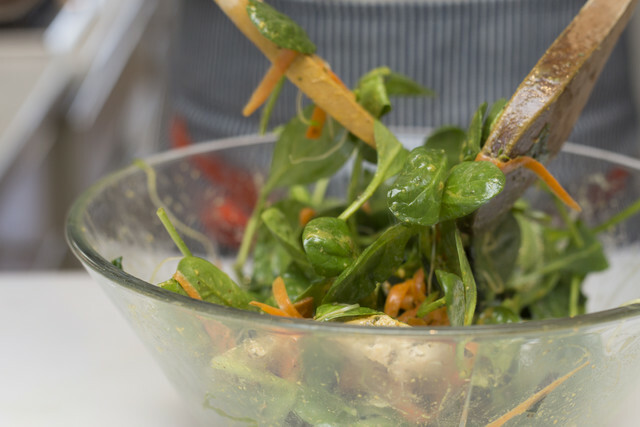 Arugula's uniquely peppery taste sets it apart from spinach and baby kale; it's especially popular in raw salads, though it has a lot of versatility. Top your pizza with arugula for a fresh contrast to melty cheese, wilt it with a little garlic and shallot and serve as a tasty side dish, or simply stir it into sauces, soups, pastas, and just about anything else you want to sneak some greens into (just be sure to add it at the end in low heat so it won't lose too much of its texture and color!). We would be remiss if we failed to mention kale in this greens-themed list. Kale is hailed as a superfood for good reason; it's high in fiber and boasts monumental amounts of essential vitamins and minerals. Like other cruciferous veggies, kale is loaded with organosulfur compounds called glucosinolates that are studied for their anti-inflammatory and antioxidant properties. These compounds are also responsible for making kale bitter and - if overcooked - smelly. If eating your kale raw, skip the stems (chop them up for a saute or soup another time) and be sure to massage the leaves thoroughly with some citrus or some vinegar to sort of "pre-digest" them. Slicing them thinly - a "chiffonade" in chef-speak - makes them especially attractive in slaw. When not enjoying them cooked into soups, casseroles, or simply on their own, try roasting bit-sized kale pieces in the oven until they turn into crispy-crunchy kale chips! Another classic and Popeye's favorite - spinach! This is the tried-and-true, go-to green for those who shy away from kale's hardy bitterness. It can be eaten raw or cooked. which is better? Neither really, both preparations offer slightly different but still good nutrient profiles. Eating greens raw means you get more of the compounds that would otherwise break down through heat, eating greens cooked means you get more minerals that would otheriwse be trapped in the fibers of the leaves. cooking also breaks down phytic acid, which acts as an "anti-nutrient" as it makes iron and calcium less bioavailable to us. Iron absorbs better with ascorbic acid AKA vitamin C, so remember to spritz some lemon on your spinach, whether you eat it raw or cooked! Also known as "white cabbage", bok choy is a type of Chinese cabbage known for its white, crisp base and its smooth, lustrous, dark green leaves. While bok choy is decidedly savory (it's unlikely you'll find it baked into a cupcake or churned into ice cream), it tends to be sweeter than many greens and adds a refreshing textural element that complements a variety of ingredients. Bok choy's great crunch is featured in many Asian dishes- it's usually stir-fried, roasted, and even used in salads. Because of its high water content, it's important not to overcook bok choy. When a vegetable releases all its water, whether through cooking or crushing, its cells collapse leaving you with wilted mush. Never fear though- this mistake is easily avoided and it marks bok choy as a perfect ingredient in quick-fix meals. If you manage to get beets with the greens attached, don't default to the compost bin! They're colorful and delicate, making them perfect for a light raw salad. Fair warning: they wilt rather quickly, so plan to cook or enjoy them within a day or two... which is an easy task considering how versatile beet greens are! They blend right into sauces, soups and casseroles, or omelets or pizza or delicious cooked on their own with a bit of oil and garlic and onion. The same rule applies to turnip greens, which have a bit of a spicier, mustard-like bite. This is a broad term for the young, tender shoots of green leafy vegetables. Picked within 7-14 days of seeding, microgreens are very dense in the nutrients they need to grow into a fully mature plant - and many of those nutrients happen to benefit us as well! 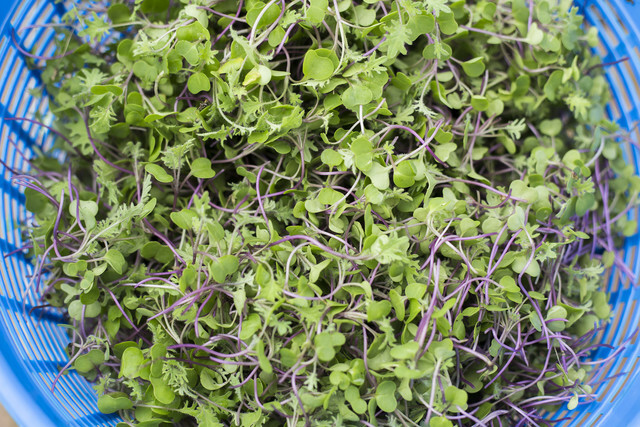 In fact, research shows that microgreens are anywhere between 4 and 40 times more nutritionally concentrated than their full-grown analogs. They're typically very sweet and crisp and best served raw as a garnish for anything from salads and grain bowls to sandwiches and frittatas.